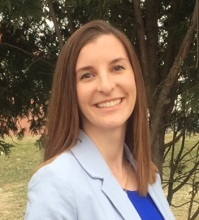 Kelsey (formerly Brekke) Markham is a Licensed Professional Counselor (LPC). Kelsey graduated from the University of Wisconsin-Madison with a Master of Science in Rehabilitation Psychology (MS) in 2014. Kelsey has experience working in community mental health with severe and persistent mental illness. She worked on a team specializing in coordinated specialty care for First Episode Psychosis for the last several years. She believes in the importance of shared decision making; when the therapist and client are working together, side by side. Due to Kelsey’s experiences in mental health and community treatment, she is very plugged into community resources and creative strategies to help each individual integrate their strengths and interests into recovery. Kelsey completed additional training in Trauma Counseling at Mount Mary University and works with individuals that have experienced trauma in their life. This includes but is not limited to individuals with trauma related to psychosis and depression disorders. Kelsey has also completed our specialized training to integrate one's own faith into the therapy process. Kelsey works with Adolescents (Ages 13-17), and Adults (Ages 18+) of all genders, and works with individuals with disabilities. Kelsey enjoys kayaking, running, crafting, and singing. In her free time, Kelsey sings in a choir in Madison, enjoys spending time with family and also exploring all that Madison has to offer in activities and food. Kelsey’s own therapy includes a good balance of exercise, music, prayer and laughter. Finding humor in things is something Kelsey seeks to do whenever possible.